A while back at an MadR Meetup hack night I spent some time working on a way to simulate the game Zombie Dice. Zombie Dice is made up of 13 six-sided dice, six green, five yellow, and three red. Each side of the die has either a foot symbol, a shotgun symbol, or a brain symbol. The player is a zombie, looking for victim’s brains and avoiding shotguns. The foot symbol means that the victim got away. 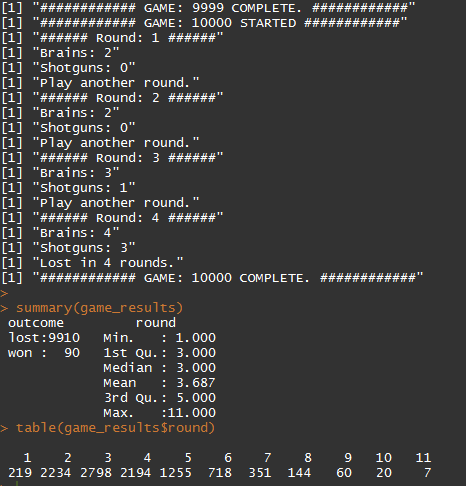 After playing this game a few times I wondered if I could simulate this game in R to determine the best strategy. I decided to try it without spending much time on the project. I limited myself to what could be done in a single MadR meetup hack night. Maybe someone else wants to finish this project? The code is below and you can also view it on github at https://github.com/justinmeyer/zombie_dice_simulation. This entry was posted in Uncategorized on December 28, 2016 by Justin@RProgramming.net. If you are interviewing for a programming job you may be asked to demonstrate your skills by solving a programming problem. One classic interview question is the phone pad interview question. Old phone button pads used for dialing had one number and three or four letters on each key. Each number corresponded to letters so that a user could enter letters using the phone. For example, the button for 2 corresponds to A, B, and C.
A phone pad. 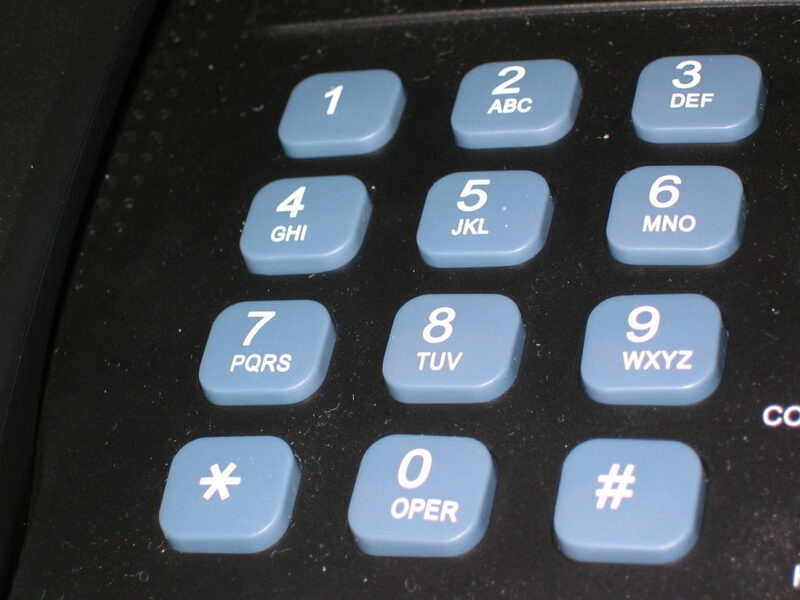 From https://commons.wikimedia.org/wiki/File:Telephone_number_pad_2.jpeg. What is the Phone Pad Interview Question? Note that two of the keys, 6 and 9, each have four letters associated with them while the other keys each only have three letters. One solution I came up with uses loops (scroll down for the complete solution). First create the phone pad in R. Note that I don’t include 0 and 1 because they don’t have any letters associated with them. Next I create some variables to represent the selected numbers. Then I create a variable to save the combinations to. NULL means that the variable is empty. Next create a series of loops. Each loop moves through each of the letters in one of the selected numbers. For example, if the number_1 is 2, the first loop will run three times, once for A, once for B, and once for C. When you put loops within each other like this they are referred to as nested loops. Within the third loop the paste0 command concatenates the letters from each of the three loops together and enters them in the “combinations” object. For example, if the numbers selected were 2, 3, and 6, the first time R moves through the loops the result will be ADM because the first letter of the first loop is A, the first letter of the second loop is D, and the first letter of the third loop is M.
Finally, print “combinations” so that the user can see the results of the phone pad interview test. "ADM" "ADN" "ADO" "ADP" "AEM" "AEN" "AEO" "AEP" "AFM" "AFN" "AFO"
"AFP" "BDM" "BDN" "BDO" "BDP" "BEM" "BEN" "BEO" "BEP" "BFM" "BFN"
"BFO" "BFP" "CDM" "CDN" "CDO" "CDP" "CEM" "CEN" "CEO" "CEP" "CFM"
Here’s the whole first solution. The second solution is a Rube Goldberg machine solution that I put together for fun. I wouldn’t recommend using this in a job interview! It works but is complicated and inefficient, using two types of loops and sampling (scroll down for the complete solution). First create the phone pad in R. Note that I don’t include 0 and 1 because they don’t have any letters associated with them. Then create some additional variables to help control and monitor the loops. Now create a while loop. A while loop continues to run until a condition is met that tells it to stop. In this case, the while loop runs as long as the variable status is set to “not enough”. Next create a variable called “combinations”. This happens within the while loop so it will happen every time the while loop runs. Next create a for loop. This runs within the while loop. A for loop runs a specified number of times. In this case the for loop will run 100 times. Each time the for loop runs R will sample one letter from each of the selected numbers. The sampled letters will be concatenated by the paste0 command and added to the combinations variable. For example, if the first selected number is 2 then the possible letters that could be sampled from number_1 are A, B, and C. If the second number is three then the possible letters that could be sampled from number_2 are D, E, and F. If the third number is six then the possible letters that could be sampled from number_3 are M, N, O, and P. If A, E, and N are sampled then “AEN” is added to combinations. Each time the while loop runs, the for loop runs 100 times, returning 100 randomly selected three letter combinations. Now check to see if each of the possible combinations have been found. The number of combinations that should be found depends on the number of letters associated with each button pressed. For example, if all three buttons have three letters associated with them then there should be 3 * 3 * 3 = 27 combinations. If all of the possible combinations have been found the set status to “all possible”. Note the use of the “unique()” command. This returns only unique values. For example, if you have a vector containing ABZ, ABZ, ABC and you apply unique, it will return ABZ, ABC because the second ABZ is a duplicate. Next add one to the count each time the while loop runs. Then print the number of unique letter combinations that were found, print the number of times the while loop has run, and close the while loop. Finally, print the combinations that were found. This solution is fun because it doesn’t solve the problem directly. Instead, R samples the possible letters to make 100 random three letter combinations. If there are enough unique (non-duplicated) three letter combinations that all of the possible combinations must be there, R stops the while loop and prints the combinations. When this program runs it looks something like the below. In this case, the while loop had to run four times before it returned the right number of unique combinations. Each of the first three times it ran there were 34 unique combinations returned. The fourth time it ran all of the 36 possible combinations were returned. This is interesting because 100 combinations were returned each time. This means that all of the other combinations were duplicates. If you change the 100 to a higher number R will be more likely to find all of the combinations on each attempt. If you change the 100 to a number that is smaller than the number of possible combinations the while loop will run forever because it won’t be able to find all of the possible combinations. "CFN" "CEM" "ADP" "AFN" "BDO" "ADM" "AEN" "BDN" "BFO" "ADN" "BEN" "BEO"
"AEO" "CEP" "CDM" "CFM" "CDO" "BEM" "AFO" "CDN" "AEP" "CEO" "CFO" "BDP"
"AFP" "ADO" "BFP" "CFP" "BDM" "CDP" "AFM" "AEM" "BEP" "BFM" "BFN" "CEN"
Here’s the whole second solution. You can see a lot of other solutions to the phone pad interview question at Stack Overflow. You can also see the above solutions at GitHub. Thanks for reading! This website took a great deal of time to create. If it was helpful to you, please show it by sharing with friends, liking, or tweeting! If you have any thoughts regarding this R code please post in the comments. This entry was posted in Uncategorized on September 4, 2016 by Justin@RProgramming.net. 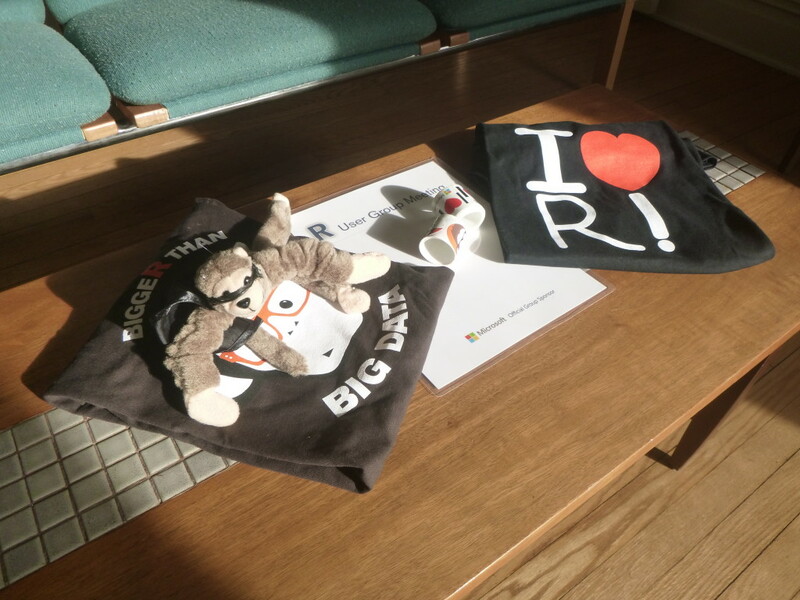 A big thanks to Microsoft for sponsoring the Madison, Wisconsin R Meetup. 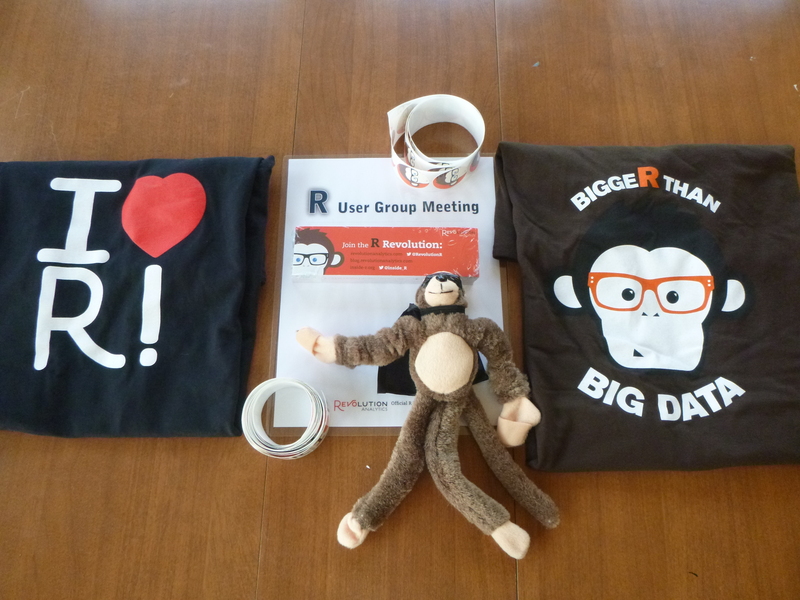 We appreciate their donation of $120 for Meetup fees as well as a monkey, t-shirts, stickers and a sign. This entry was posted in Uncategorized on January 23, 2016 by Justin@RProgramming.net. Not surprisingly, parents are interested in knowing what their future children will be like. One topic of interest is how tall their child will be as an adult. As you might expect, height is somewhat predictable. You can predict a child’s adult height with the parents’ heights and the baby’s gender. See http://www.mayoclinic.org/child-growth/expert-answers/faq-20057990 for more detail. Once the baby is born you can do more accurate predictions using lookup tables but that’s beyond the scope of this post. # What gender is the baby? Enter M or F.
# How tall is the mother in inches? Enter a number. # How tall is the father in inches? Enter a number. "Your baby will be about 5 feet, 10 inches tall as an adult." This entry was posted in Uncategorized on March 27, 2014 by Justin@RProgramming.net. # I think the error is due to floating point, not the formula, but I'm not sure. What do you think? Has anyone else written code to calculate pi in R? This entry was posted in Uncategorized on March 14, 2014 by Justin@RProgramming.net. data <- "Many times I want to write in r style but I never have the time to even though it makes the other users think I am rad." "Many times I want to wRite in R style but I neveR have the time to even though it makes the otheR useRs think I am Rad." 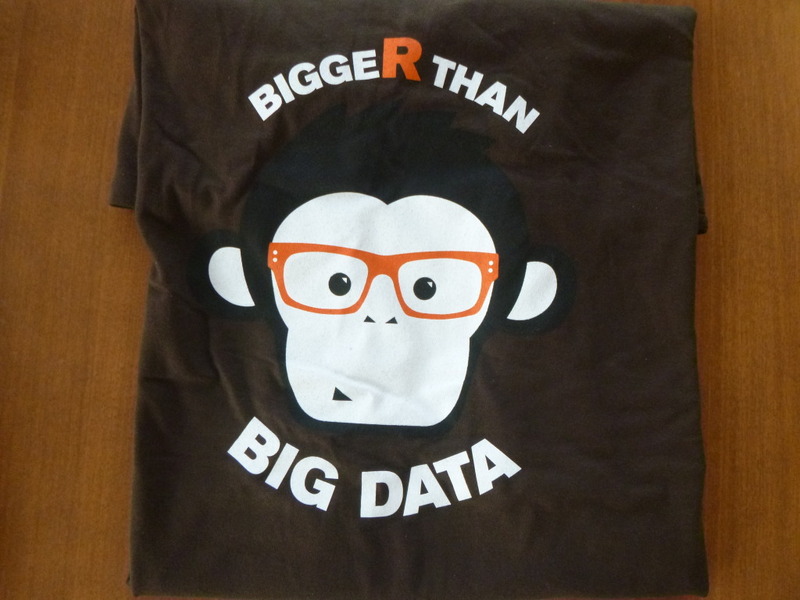 This entry was posted in Uncategorized on February 27, 2014 by Justin@RProgramming.net. Live in Madison, Wisconsin? 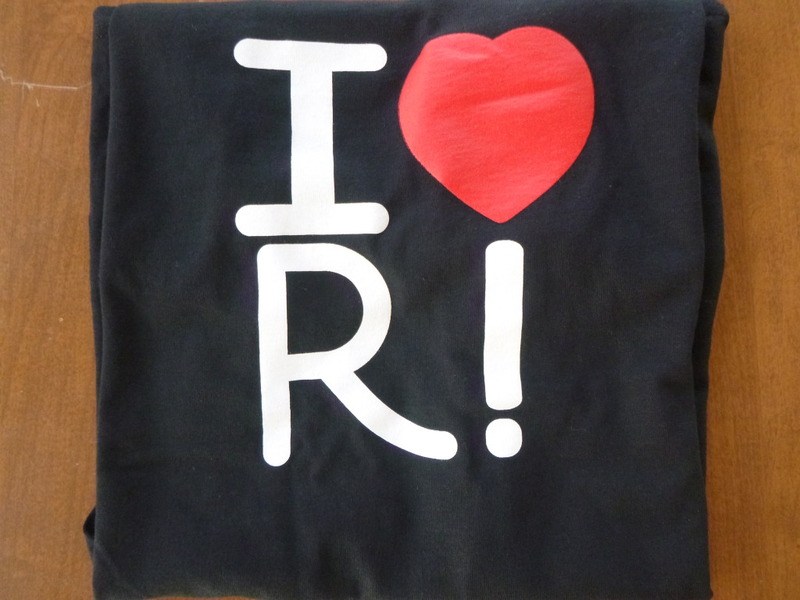 Join the Madison R programming users group to learn more about R and contribute to the community. I just started it and am looking for members and presenters. You can find it here: http://www.meetup.com/MadR-Madison-R-Programming-UseRs-Group/ or through the link in the column to the right of this post. No events have been scheduled yet but something will be on the calendar soon. This entry was posted in Uncategorized on January 11, 2014 by Justin@RProgramming.net.